There are also tablet, capsule and liquid dietary supplements that contain vitamin D.
Scientists are learning more about the importance of vitamin D, and in many ways, it acts more like a hormone in the body rather than a vitamin. Your body manufactures numerous types of hormones to regulate organ functions along with immunity levels, and when hormone production stops or becomes abnormal, you begin to suffer from a variety of health problems such as fatigue, sexual dysfunction or pain. Activated vitamin D is manufactured in your liver and kidneys after you ingest certain foods or are exposed to sunlight, but in many cases, people have health conditions that prevent this process from occurring. Only recently has vitamin D been discovered to have a wide array of positive health and immune modulating activities. There is an epidemic of vitamin D deficiency in many developed countries because most people do not have enough sunlight exposure or are not consuming the correct foods. Today, the majority of people work inside buildings during the day and travel in covered vehicles. When someone does go outside, they protect their skin with sunlight-blocking creams and lotions or wear protective clothing to prevent sunburns, freckling and skin cancer. In addition, many individuals are unable to eat the foods that contain vitamin D because they have food allergies or sensitivities. When you suspect that you have low vitamin D levels, you can request a blood test from a physician or medical clinic. The 25-hydroxy vitamin D test can determine if you do have low vitamin D levels in order to devise a plan of action to take medications or dietary supplements to improve the manufacture of this nutrient in your kidneys and liver. What are the Benefits of Optimal Vitamin D Levels? The vitamin K2 in these foods and beverages combines with dietary fats and is absorbed by your small intestine before it enters the body’s bloodstream. In some countries, vitamin K2 is prescribed along with vitamin D to help prevent osteoporosis. This condition tends to affect the elderly population, leading to poor bone density. Individuals with osteoporosis are at a higher risk for developing dowager’s hump or breaking their hip bones. Contact LifeBoost to Schedule an Assessment of Your Vitamin D Levels. 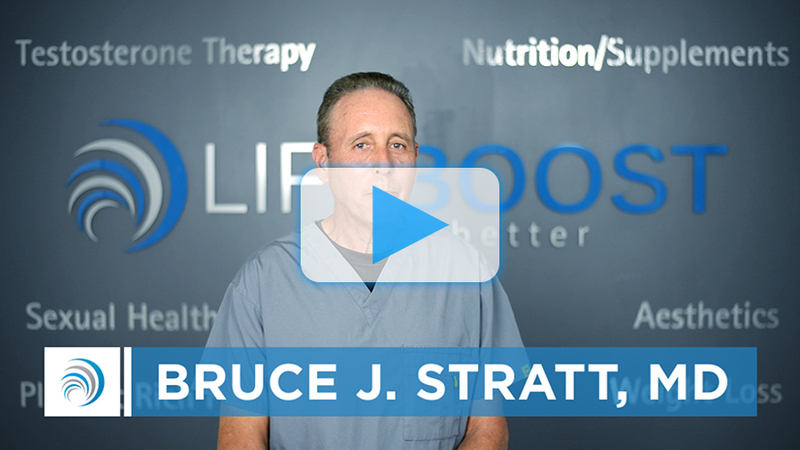 LifeBoost located in Boca Raton, FL offers customized PRP therapy, hormone replacement and nutritional supplement services from Dr. Bruce J. Stratt. Take the first step toward restoring your vitamin D levels today by making a telephone call to 561-922-9967 to schedule an appointment or to learn more about correcting your vitamin D deficiency.